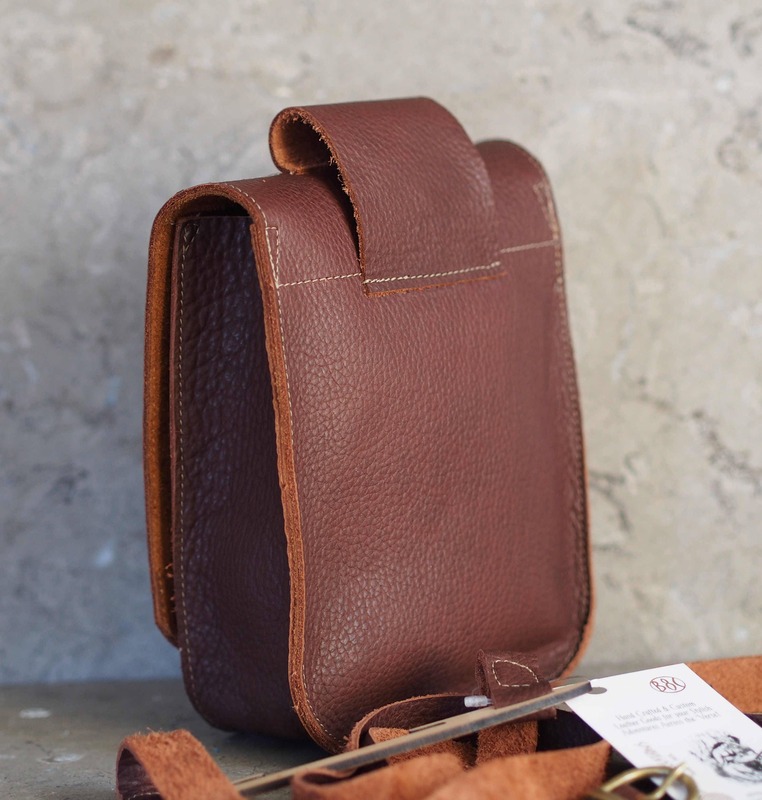 This smaller satchel for either cross-body or belt wear is made from very soft brown cowhide leather with a pebbly texture, which is very supple, yet tough. 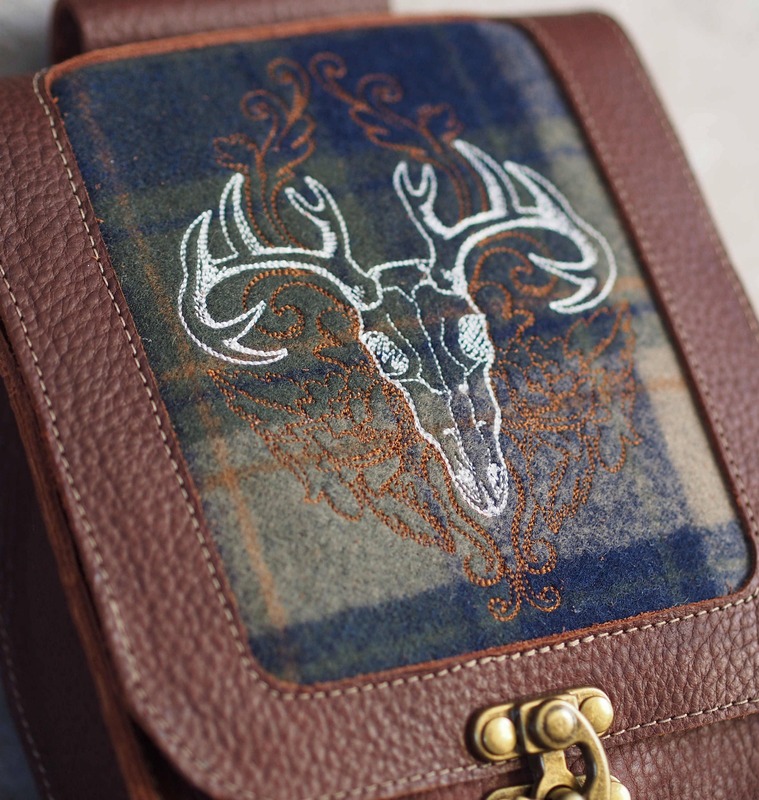 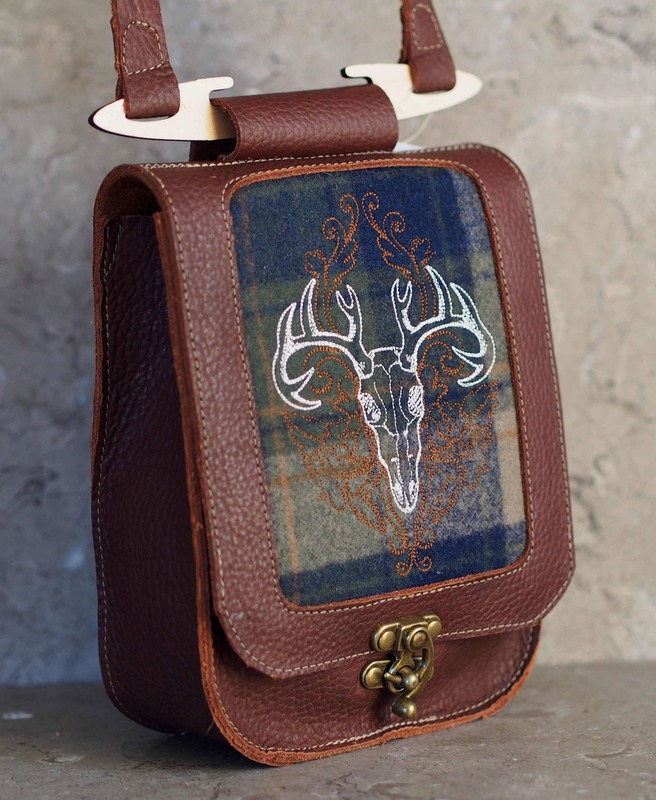 The flap has a 4.25" x 5.5" inset of wool plaid of green, blue & browns that has a machine embroidered design in white thread of a deer skull & antlers (stag or buck, technically), and a garland in brown that coordinates with the wool colors. 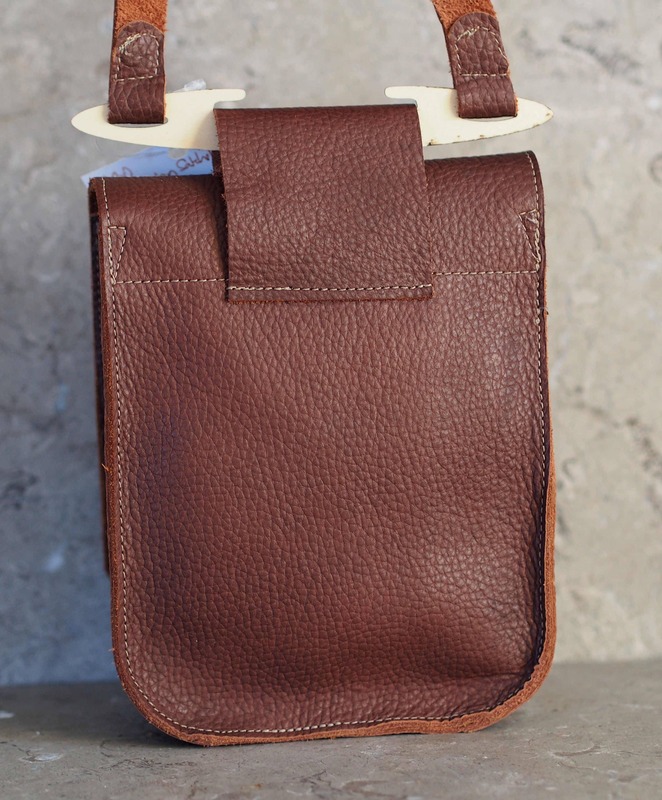 The bag is approximately 7.5" high (when full), 6" wide, and 2.5" deep. 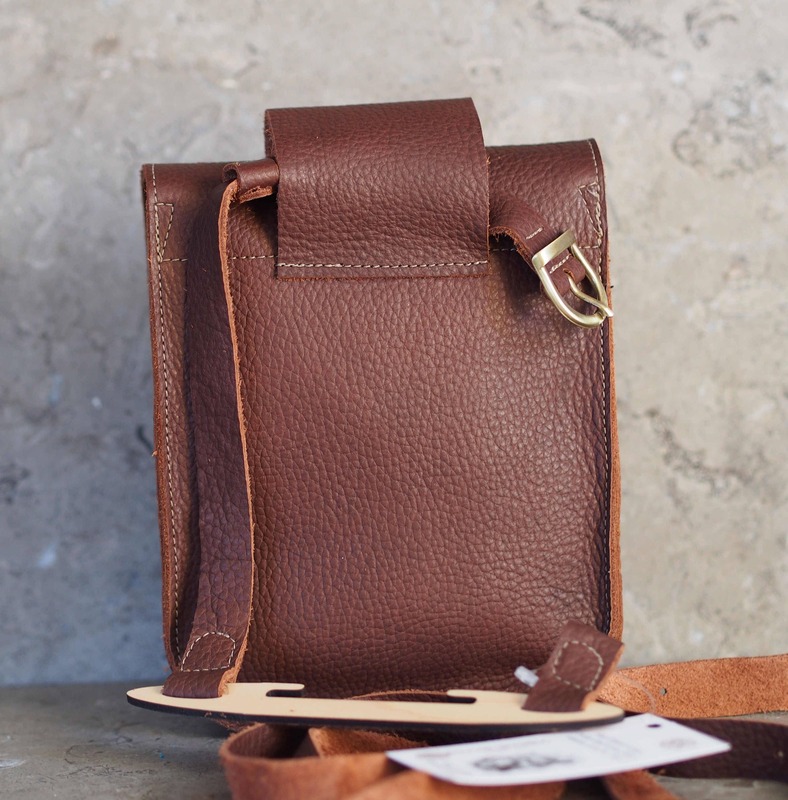 The strap is 3/4" wide and can be adjusted from 47 to 59", with holes spaced 1" apart for adjustment with the simple antique brass buckle. 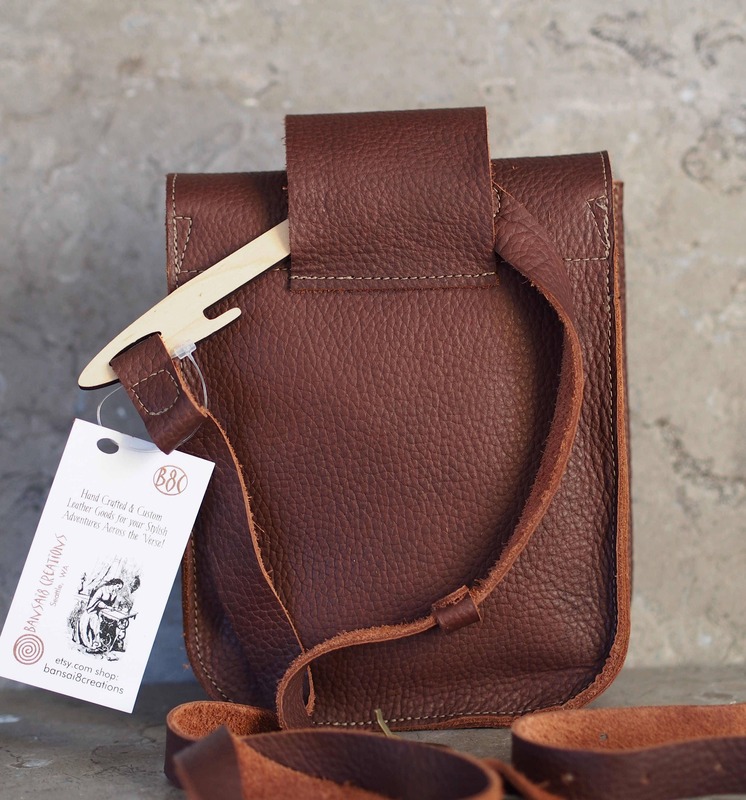 This satchel uses my own design of a laser cut wood bar that the strap attaches too, and it fits securely into a large loop for cross-body wear, but the entire strap and bar can be removed so the bag can be worn on a belt up to 2.5" wide through the loop. 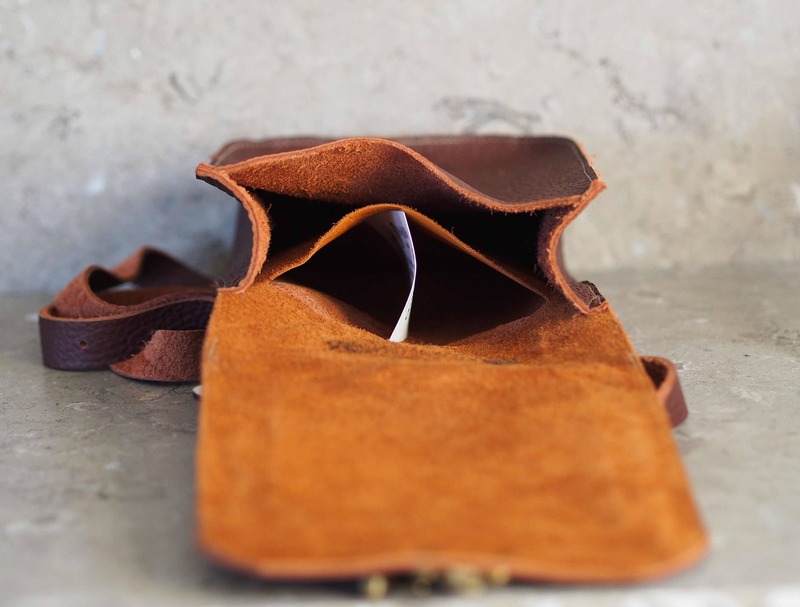 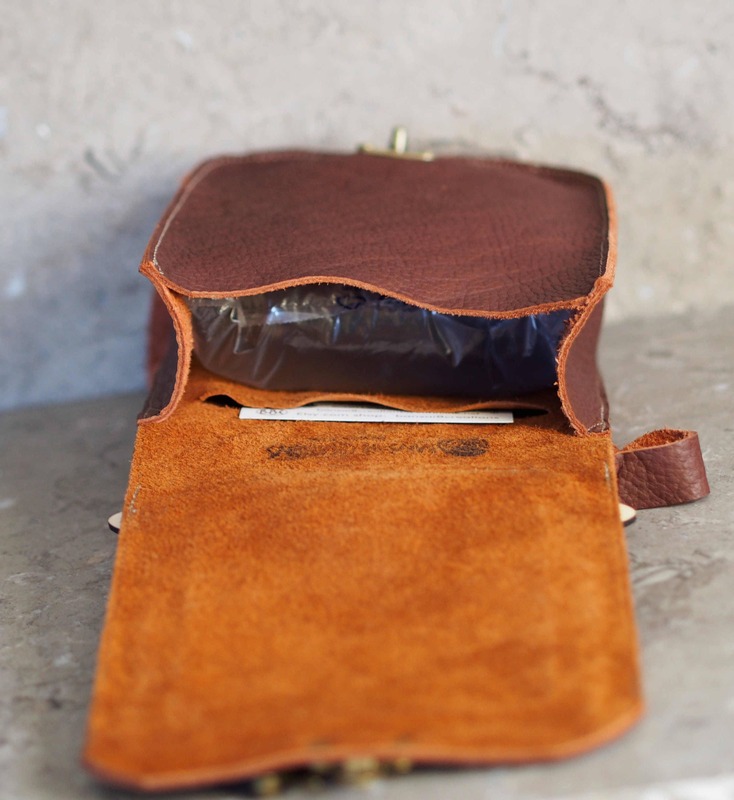 The flap and bag back is lined with a thin & soft sueded cowhide, and this is slit to form a pocket about 1" below the top of the bag. 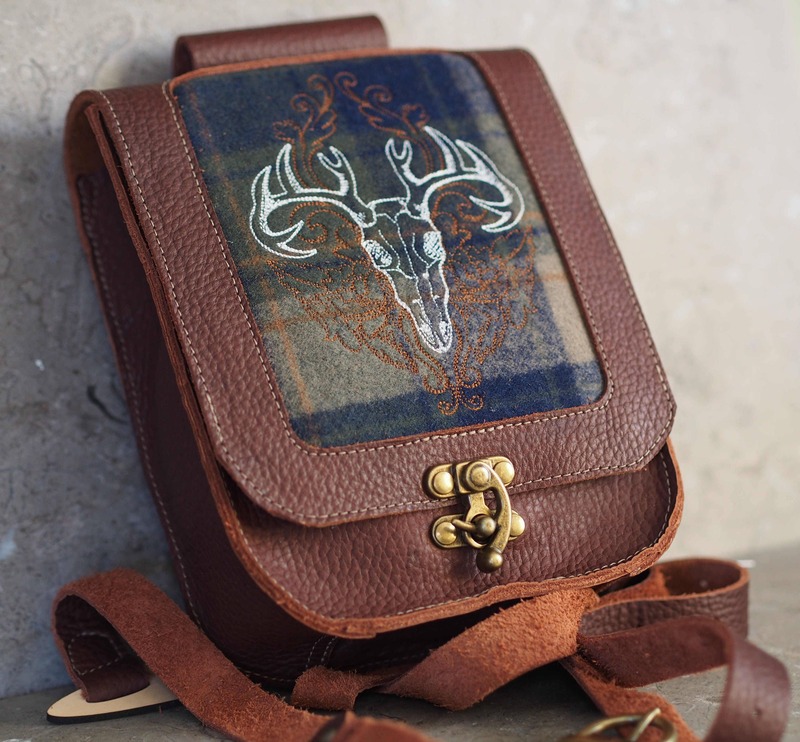 The flap can be secured closed with an antique brass "corset" loop and swivel lock, fixed with antique brass rivets to the bag body and flap. 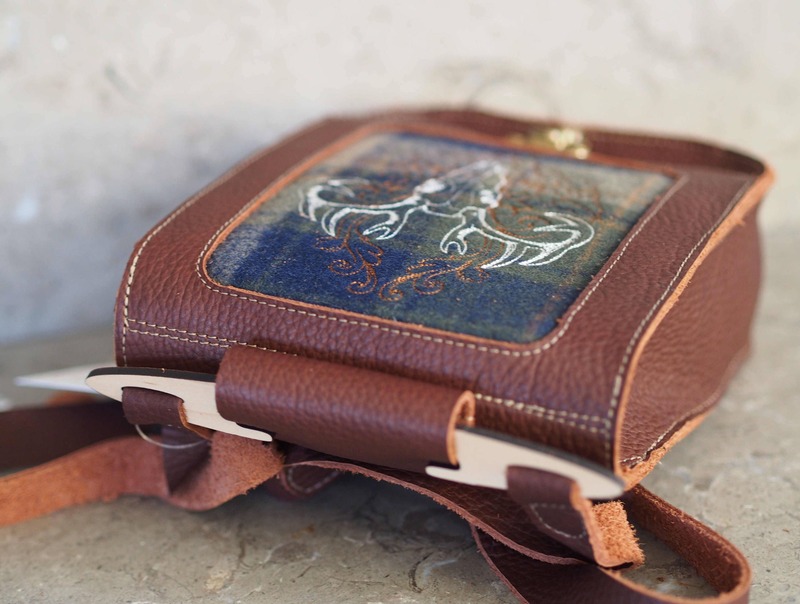 As with nearly all my work, I can make a custom version for the size or color that suits your taste, or use a fabric that is special to you for the embroidered inset.